Home / Titanium Surgical Instruments / Titanium Dissecting Micro Tying Forceps w/ Ring Tips / Titanium Dissecting Micro Tying Forceps w/ Ring Tips, O int 4/10, O ext. 10/10 150mm - 6"
Titanium Dissecting Micro Tying Forceps w/ Ring Tips, O int 4/10, O ext. 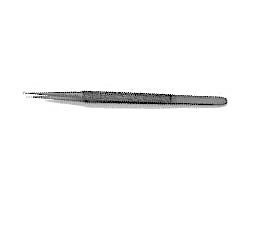 10/10 150mm - 6"
NM01200560015 - Titanium Dissecting Micro Tying Forceps w/ Ring Tips, O int 4/10, O ext. 10/10 150mm - 6"